Since this website is all about learning the art and craft of food photography, I’ve been looking for resources to help my viewers along that goal. Here is a list of what looks like the best food photography courses that I’ve found online. Of course I haven’t taken all these courses. Heck, I haven’t taken any of them, but I’m hoping to get some feedback and somehow compile a list of comments and reviews on each of the listings. I’m not currently offering any food photography courses, but I’m thinking about it and this list is actually a part of my research into the subject. If you know of any courses out there that I might of missed, or I should definitely add, please let me know in the comment section below. Like I mentioned above, I hope to come up with a way ranking all the courses below, but for now, this is just a list of all the food photography courses I could come up with. The title of this blog post may be for now, a little misleading, but in the future, this may actually be a list of the best food photography courses out there. I’m also hoping to make this an international list, so I’d love to get listing from all over the world. I can tell by my mailing list that this food photography blog is read everywhere people speak English, so for this to be a comprehensive list, I’ll need YOUR help putting it together. The Michael Ray One-on-One, Advanced Food Photography Workshop – We can schedule this whenever you want… Location: Either my Pittsburgh PA Studio or in your studio or city. Yes, I’m offering advanced food photography workshops. I offer one and two day workshops that we can schedule this whenever our schedules are mutually open. This workshop is totally customizable. Most of my students are interested in lighting, but I’m happy to go over whatever you need to learn most. We can talk about lighting, marketing, composition, propping. Whatever you need help with, I’ll give you the benefit of my many years of experience. I don’t know a whole lot about this except that it’s being given by one of the photographers on my top 101 Best Food Photographers list. That’s a good sign. The Price is 1175.00 and there is a max class size of 14. I believe this is designed for the intermediate to advanced food photographer looking to take their work to the next level. Food Styling and Photo Techniques – This is a two day class and appears to be geared toward those who wish to do both styling and photography and is taught by Denise Vivaldo, and VERY good food stylist. This class cost 815.00. Food Photography with Andrew Scrivani – These appear to be a series of videos (~39) as an online course. I’ve watched the the preview video and the production value seems to be top-notch. As of this writing, the price is $129.00, but there might be an early-bird discount available if you catch it at the right time. The course seems to be geared to quite a wide range of expertise levels, ranging from beginner to professional. It looks really good and I’d love to here from anyone that’s taken the course. It’s ranking #1 on Google, , priced about right, so I’m guessing that there are quite a few of you that can tell me about it. Another thing about this course it that it is given by a very good food photographer. While I don’t think he wrote every word of the video copy, I’m betting that the rest of the content is quite good. The sample video I watched was a little “fluffy”, if you know what I mean, but I guess that’s what a lot of people want and expect. Food Photography School – From what I can tell, food photography school is made up of over 130 videos, divided into 14 courses, and seems to be targeted at the beginner food photographer. The price for access to all of these videos appears to be $99.00 and it looks like they’ll be adding even more classes in the future and they offer a 30 day guarantee. I was a little surprised that they didn’t offer a sample video so that I could get a look at the production value of the videos. The listing of individual videos is quite extensive and with the guarantee, you probably can’t go wrong in checking them out. This is a four-week course (four lessons) and costs $169.00. I’m not sure how all these classes work, but I’m pretty sure that this course is interactive, where you get to actually talk with a person and you actually submit work for assignments, have them reviewed, and get some feedback. This is a real plus. The only real downside I see is that the instructor is not a food photography specialist. He’s a good photographer, but he’s not a food photographer at heart. I’m not sure he understands in inner workings of the food photography industry, but He’s probably really good at teaching the basics of photography and how they relate to food photography. 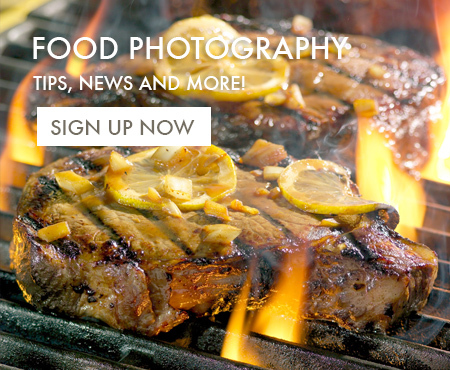 “During these food photography classes, you will explore topics such as lighting, color, composition, and perspective to learn how to make delicious food photographic images! If I lived in the Manhattan area and I was interested in learning about food photography, I’d be tempted in attending this one for sure. That’s about all I have time for right now, but I’ll be adding more class information in the near future. I took a food photography course at the Picture Perfect School of Photography called “Food Photography Au Naturel” taught by guest food photographer instructor, George Crudo, and I thought it was a good course. George provided a lot of great feedback and helpful suggestions for everyone and I felt it was beneficial. The strange thing is that I first signed up for the intro to food photography course by Ron Goldman and I was the ONLY one in the class. I ended up dropping that class by Ron Goldman because an important part of learning is also getting feedback from other students (as well as the instructor). Thanks for sharing these great resources, Michael.